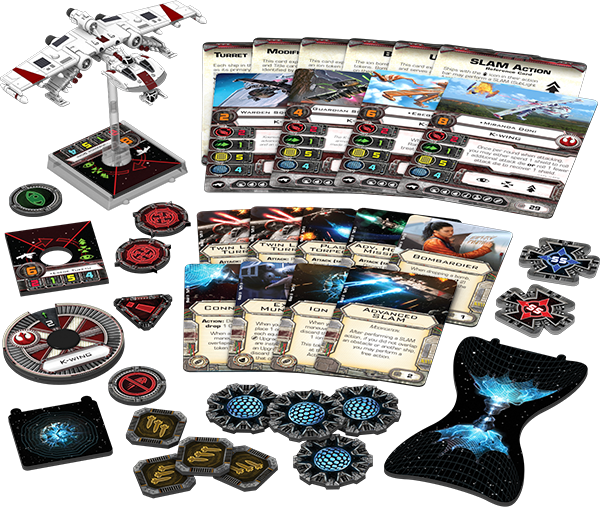 After some rampant speculation and grainy leaked images we finally have X-Wing Wave 7 officially confirmed by Fantasy Flight Games. 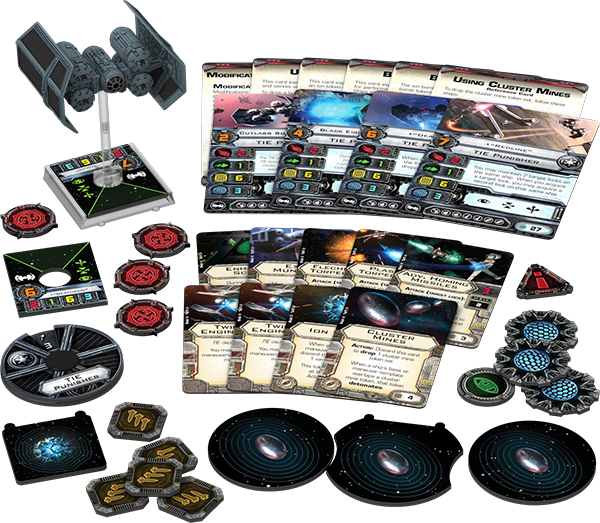 Hound’s Tooth (or a YV-666) looks like a fairly formidable large ship, with plenty of hull, shields and upgrade options. Two things to note in the Hound’s Tooth expansion is an extra Scum movement dial for a Z-95 Headhunter and the rather interesting firing arc of Hound’s Tooth itself. It looks like it has a 180° firing arc to the front, rather than the standard 90°. Okay so the K-Wing is interesting, there’s obviously two new kinds of bombs and the K-wing itself has a 360° firing arc as standard, which I believe this is the first time we’ve seen this on a small ship. 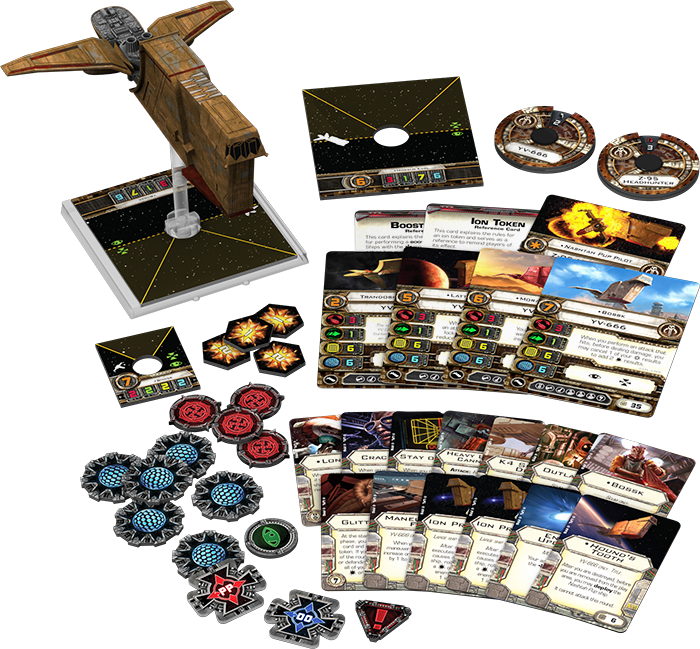 As predicted the K-Wing has a huge amount of upgrade options available, as many as you can fit on a card, so it looks like you’ll be able to customise this ship as you see fit. I must admit the Kihraxz doesn’t look terribly exciting to me. It’s got a solid 3 red dice attack and 2 green evade, but nothing else is standing out. Maybe the add ones and pilot abilities are what make this ship worthwhile. 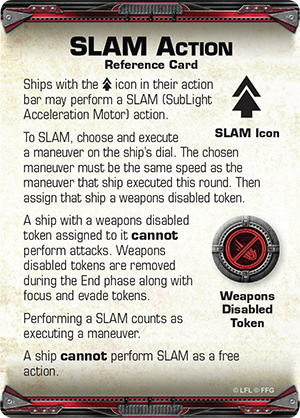 Interestingly there is a new action, the SLAM (SubLight Acceleration Motor). This allows pilots to move a second time during the action phase at the cost of not attacking. It’s going to be handy for getting out of the firing arc of another ship. 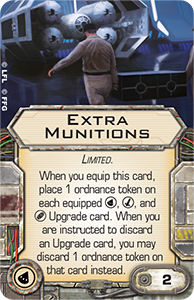 The second highlighted card is the extra munitions, allowing ships to take extra ammunition for their bombs at a reduced cost. 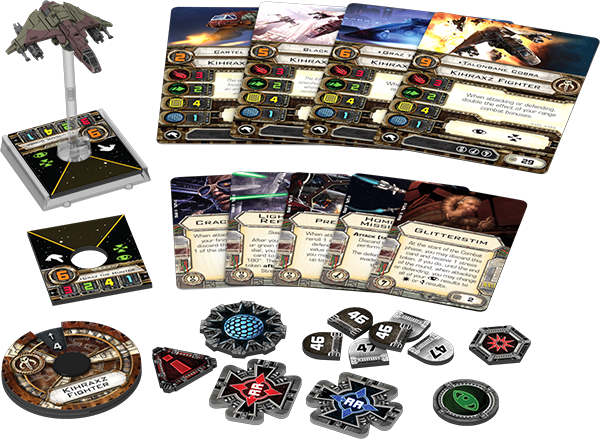 The TIE Punisher is the Imperial answer to the K-Wing, loads of hard points and some new interesting looking bombs such as Cluster Mines.